7 Some Historical Process Related Accidents: Could Effective Regulation Have Prevented Them? 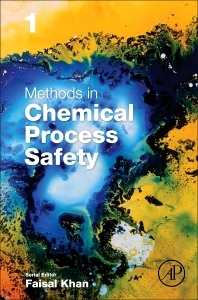 Methods in Chemical Process Safety, Volume One publishes fully commissioned reviews across the field of process safety, risk assessment, and management and loss prevention, with this volume focusing on the process of learning from experience, elements of process safety management, human factors in the chemical process industries, and the regulation of chemical process safety, including current approaches and their effectiveness. Users will find an informative tool and user manual for process safety for both engineering researchers and practitioners that details the latest methods in the field of chemical process safety. Faisal Khan is recipient of President Outstanding Research Award of 2012–2013 and 2013-2014, the CSChE National Award on Process Safety Management of 2014, and Society of Petroleum Engineer award for his contribution in health, safety, and risk engineering. He has authored seven books and over 300 research articles in peer-reviewed journals and conferences on safety, risk, and reliability engineering.